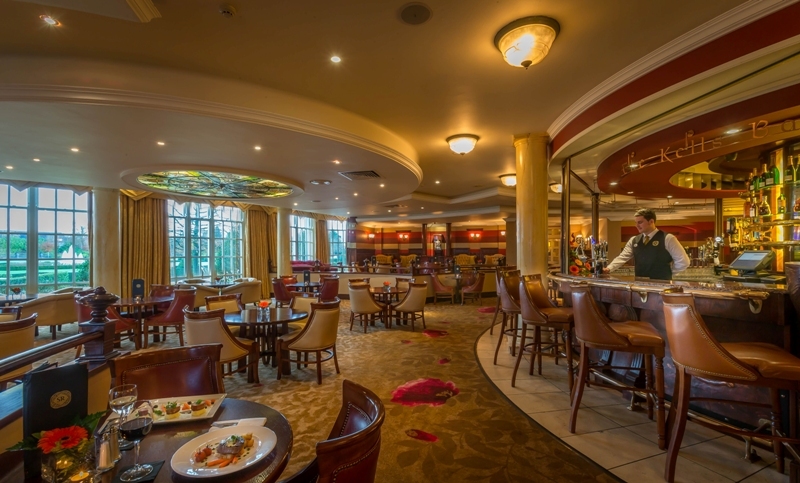 It was no surprise that a red, amber and green traffic lights warning system was operating to ease guests through the hotel’s busiest breakfast session times. There were also queues at the reception desk and queues to book one of the three eateries for dinner. 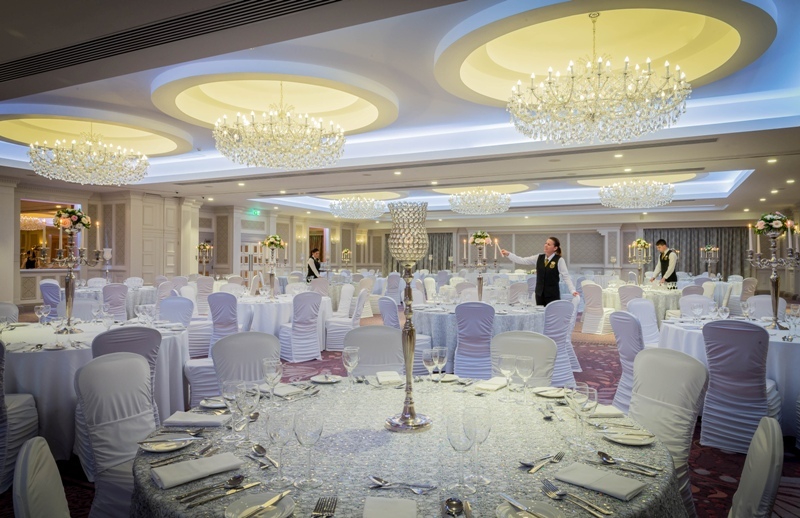 The iconic Slieve Russell Hotel is certainly popular and draws families, golfers, tennis players, wedding parties and nosey journalists from across Ireland and from much further afield. I arrived on a bank holiday during which many visitors were taking advantage of end-of-summer offers. The place positively buzzed with laughing children and their doting parents, yet the staff appeared to be coping smilingly and efficiently with the waves of queries and requests. It had the feel of a busy Mediterranean holiday four-star instead of a huge and classy place on the edge of the little town of Ballyconnell in an obscure corner of Ireland’s equally obscure West Cavan, a couple of hours’ drive north-west of Dublin. 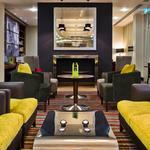 What projects the place into the Premier League of hotels of its type is not the pleasant but relatively unremarkable local area, but the resort’s incredible facilities and, of course, its history. 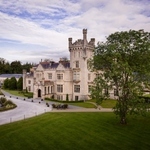 Having been built when the Irish economy was in the doldrums by Sean Quinn, Ireland’s one-time richest man and biggest subsequent bankrupt, there can be few people across the country who have not followed its fortunes and been curious about making a visit. 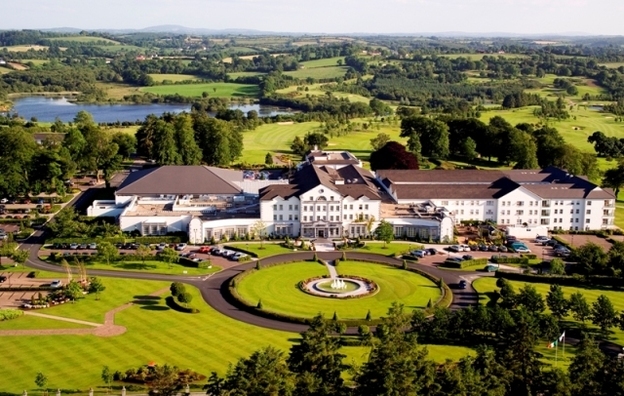 Their curiosity has been coupled with the broad-based appeal of an incredibly diverse resort set in 300 acres – including 50 acres of idyllic lakes – boasting upscale attractions for children, spa users, business and conference guests, weddings and world-class golf facilities, including a championship course, a par 3 academy course and a floodlit driving range. As I strolled off to my Junior Suite, I left behind the hectic activity of the foyer and there was an immediate sense of space and tranquillity amid the modern furnishings and picture windows overlooking manicured greens, mature trees and shimmering lakes below. 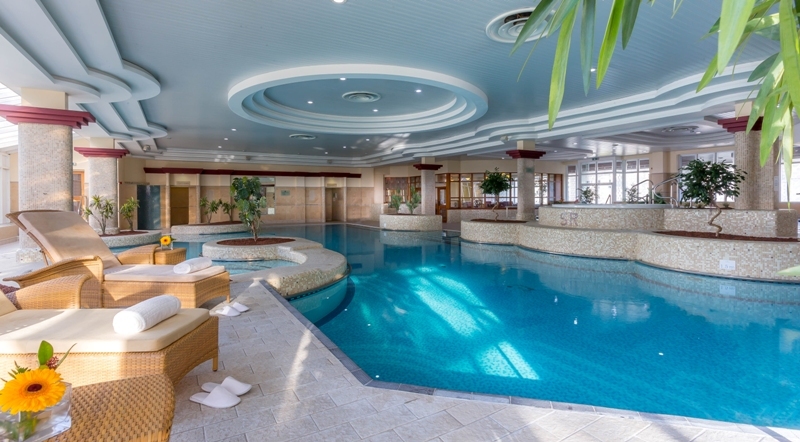 That sense of wellness was underpinned by a swim in the country club’s 20-metre pool followed by a healing session in the sauna, as the lashing rain outside turned Cavan’s fields a deeper shade of green. I could have opted for tennis (weather permitting) or anything from a foot bath to the salt grotto at the world-class spa but, instead, finished with a two-mile jog along the Cranaghan Walkway, a lovely landscaped circuit of the golf course. Of course, all that ‘wellness’ hard work was undone by dinner at the Conall Cearnach Restaurant, which I chose for its classical Irish menu under the guidance of Peter Denny, one of Ireland’s leading chefs. And I wasn’t disappointed, although my waistline may well have suffered, as the friendly staff encouraged me to start with sumptuous marinated Dublin Bay prawn spring rolls, that were fried to perfection and served with a subtle sweet chilli mayonnaise. I followed with a very traditional – but huge – serving of roast rump of border lamb, with gratin potatoes, and a redcurrant enhanced Burgundy Jus. The accompaniments were huge buckets of buttery champ and broccoli. I had to ask for the subsequent cheese board to be ‘doggie-bagged’ along with the very pleasant Ibericos Crianza 2015, which I had failed to finish and was destined for a midnight feast overlooking that dreamy landscape below my window. After another Full Irish Breakfast next morning, I joined the checkout queue and was amazed at the speed and friendliness of the staff on what must have been one of their busiest bank holidays. In the rear view car mirror, the huge grey edifice shrank into the distance, but the memory was one of a very versatile Irish hotel that would remain in the memory for a long time. 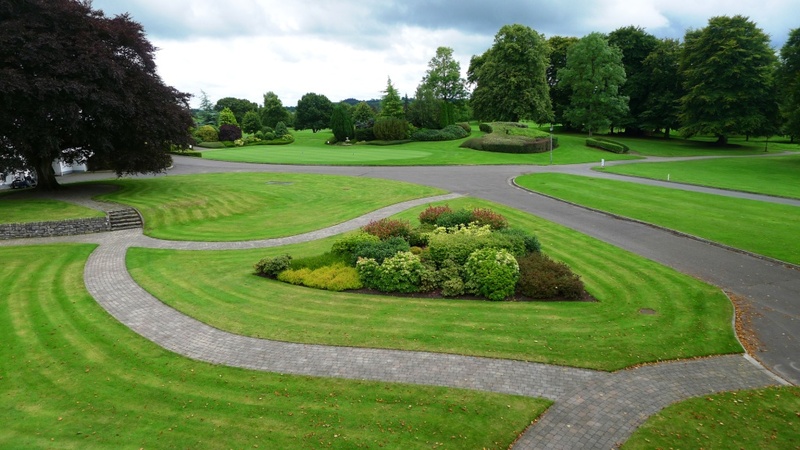 Slieve Russell Hotel, Golf and Country Club, Ballyconnell, County Cavan, Ireland, H14 FE03. T: +353 49 952 6444. Bed and breakfast starts at €95 per room. Last-minute deals include a 1-night bed and breakfast and two-course dinner for 79 euros per person.